When most people think of blockchain projects in China, their first thought is NEO, the “Chinese Ethereum” that was launched in 2014 as AntShares. However, in the past year, another Chinese blockchain has skyrocketed almost 20,000% since its initial coin offering. 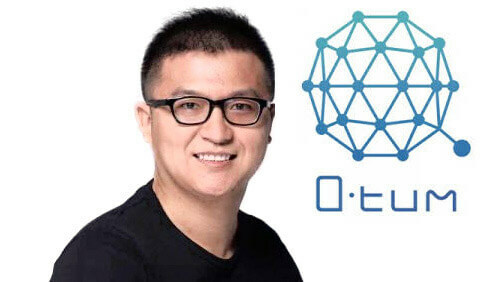 Founded in 2016 and led by CEO Patrick Dai, Qtum (pronounced “Quantum) recently moved into the top 15 with a market cap of over $13 billion ahead of Zcash, Lisk, Ethereum Classic and Neo. This past month saw more dramatic price increases for cryptocurrencies across the board. At times, Bitcoin traded near $20,000 before a healthy correction over the past week. Qtum’s gains have been exceptionally impressive, following altcoins including Litecoin, Bitcoin Cash and Ripple in price breakouts even doubling in a 24 hour period during December. Qtum has had an impressive month – its price is up 340% since the beginning of December. Qtum reached a new all-time high of over $70 on 19th December, up from around $12 just 10 days prior. Its price has since retreated below $50 which is still very healthy, considering the token had only traded between $5 and $15 since May. Qtum was is a Chinese blockchain project that uses smart contracts and PoS 3.0. Qtum is an open-source blockchain and cryptocurrency project led by The Qtum Foundation. A wide selection of developers, blockchain and internet professionals make up the team, including Neil Mahi and Jordan Earls, both multiyear veterans in the cryptocurrency/blockchain space. Qtum takes concepts and established code from blockchains, including Bitcoin and Ethereum, and merges them together to create a better all-around package. Forbes Magazine put QTUM CEO Patrick Dai on the Chinese edition of the “30-under-30” list with Chinese innovators, entrepreneurs and leaders. Smart contracting, as already seen with Ethereum and NEO, is available through Qtum combined with Bitcoin’s UTXO (aka “unspent transaction output”) which is used by nodes to match and validate transactions from its database. Added to this is a proof of stake consensus which QTUM believe is more practical for business enactment. Blending these concepts together in Bitcoin’s reliability and smart contracts provides an opportunity for real-world use to the blockchain which many enterprises have been patiently waiting for. Qtum knows improving on the existing blockchain technologies is paramount for its success and focuses heavily on introducing accessible options for the business world. The aim is to fuse the blockchain and business worlds. Many draw comparisons, including Qtum, to the Ethereum project but a shifted focus could be what gives this up and comer the edge. December signalled a significant milestone as the work in building dApps (Decentralized Applications) saw the market cap smash through $3 billion and over another major Chinese competitor – NEO. The push for real-world use is evident throughout the project. Users are able to create their own tokens, automate tasks and self-execute agreements in a trusted and stable environment. Building on these technologies, Qtum aims to introduce a library of smart contacts to offer instantaneous accessibility. Industry professionals will be able to select from a range of off the shelf agreements for supply chain management, telecommunications, social networking and many more. Benefits of smart contracting are applicable to almost any industry. Mobile adoption is key to the success of any internet and networking-based technology. Many cryptocurrency investors and blockchain developers will be hoping that digital currency takes hold of the world in a similar fashion to smartphones. In 2016, mobile internet use surpassed desktop for the first time. How many years will it be until cryptocurrency surpasses fiat money? Smartphones and tablets will be crucial in this mass uptake whether this is for personal or business uses. Qtum is looking to push mobile blockchain development to new levels and its use of Bitcoin’s UTXO, which will allow smart contracts to be executed from light wallets (nodes not syncing the entire blockchain) on mobile devices. Qtum’s dApps are readying for the mobile age. With this angle, it provides Qtum with the opportunity to disrupt both the blockchain and internet traffic in a new exciting way. The blockchain is finally ready to take up disruption in a world in which half of all internet traffic is being generated by smartphones and tablets. The combination of tested code merges reliability with the versatility to offer endless opportunities for institutions and industries around the globe. We’re all searching for the first fully-fledged real-world application of cryptocurrency and blockchain. The industry is now perfectly poised for a continuing boom throughout 2018. Vevue is one of a handful Qtum tokens which are in ICO and plan to release in 2018. Qtum is a model project when it comes to transparency and regular updates. On their Medium blog, they provide weekly community and development updates. For example, this week they announced their founder attended an Internet Governance Forum in Geneva as well as a new ICO taking place on their platform called Vevue – a simple way for anyone to earn tokens through social sharing. Any developments grabbing hold of a real-world application that is genuine and useful will be in good stead for the future. Qtum may well be an example of this and is certainly one to watch in the coming months.